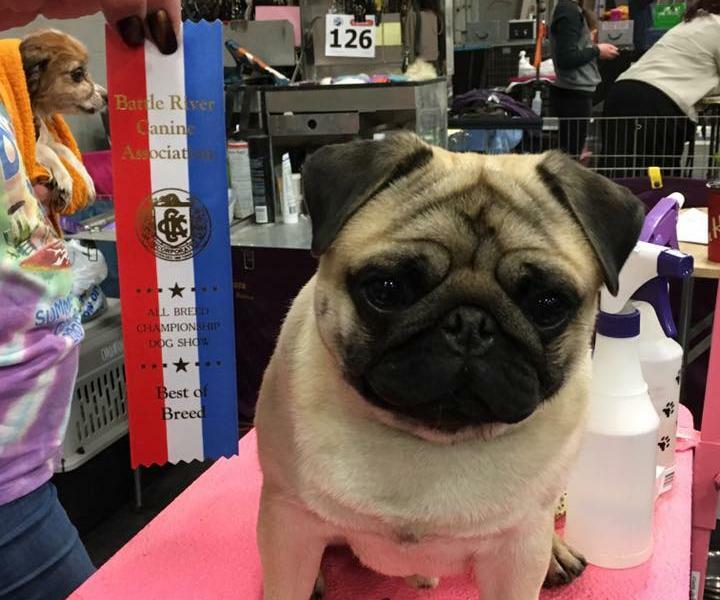 We will be completing all Gordon’s health certifications over the next few months. 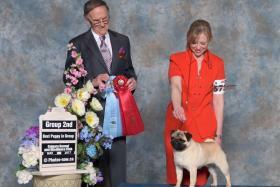 ​Gordon finished his Championship easily taking Group placements and Puppy Group wins. 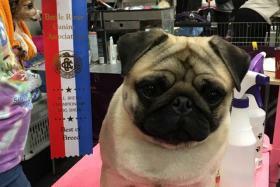 He is currently living in Calgary with Nancy Burton and his pug sister Suzy. 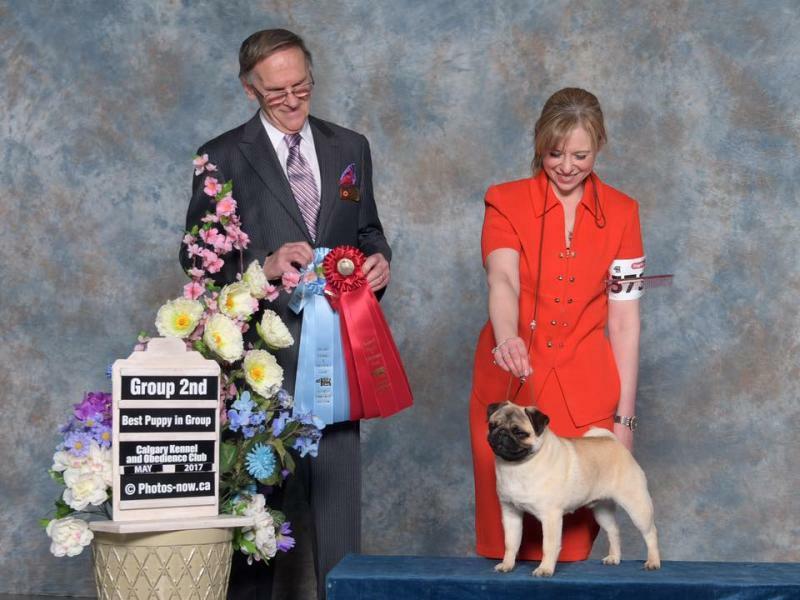 Nancy and Gordon are currently working on his Grand Championship.